BMI Members – always free! Learn about the benefits of membership here. Group rates available. Contact the Education Coordinator at tours@thebmi.org or 410.727.4808 x117 for reservations. Need directions? Click for a Google map. 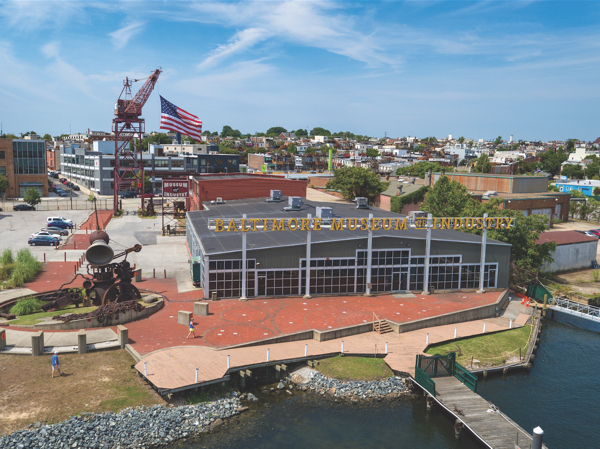 We offer free on-site parking for visitors; or use the Charm City Circulator Banner Route (Stop 406 or 415) or the MTA Bus 71 (Stop Baltimore Museum of Industry). • Self-guided tours: Armed with a map of the museum, make your way through the galleries at your own pace. Kids will enjoy our hands-on touchboxes in select galleries. • Guided tour: Join a group led by a museum educator for an in-depth look at the galleries, including demonstrations of some of our machines. Guided tours of the museum are offered on Saturdays and Sundays, and on weekdays during the summer. To join a tour, please inquire at the front desk during your visit. • iPod tour: This tour offers great detail of the galleries at your own pace. Choose in what order you explore galleries, and enjoy audio or video tracks. All tours are included with admission.